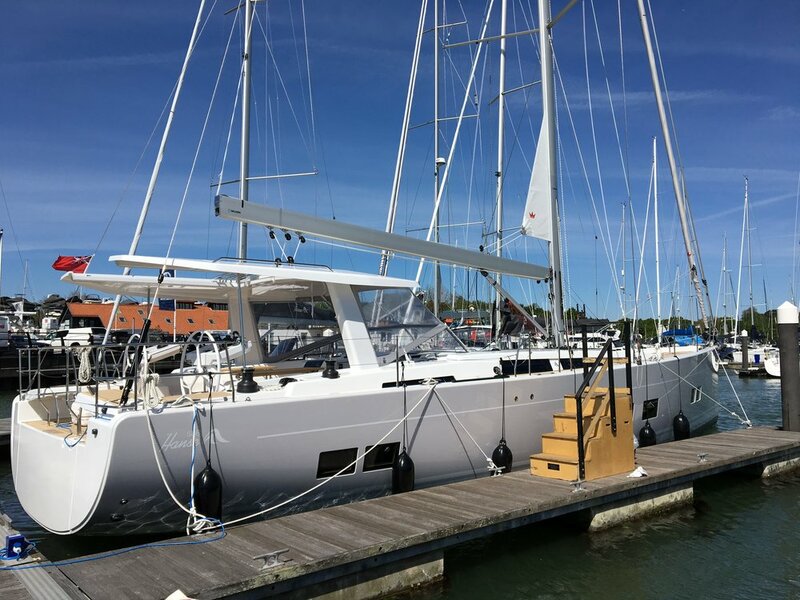 This Hanse 588 was delivered directly from the factory in Germany to Hamble Point for immediate installation of our equipment. A Paguro 6000 generator was chosen by the owner for its quality, compact size and power. The Paguro 6000 was mounted on a custom steel frame that was designed and installed by Advance Yacht Systems. The Dessalator DUO 60 watermaker allows the owner flexibility and choice of power source. The Dessalator DUO 60 is able to run off either the generator or engine power. Three Webasto air conditioning units were also installed to cool the main saloon, owners cabin and guest cabins to ensure maximum comfort on board. Job timeframe: One month, started and completed on schedule.